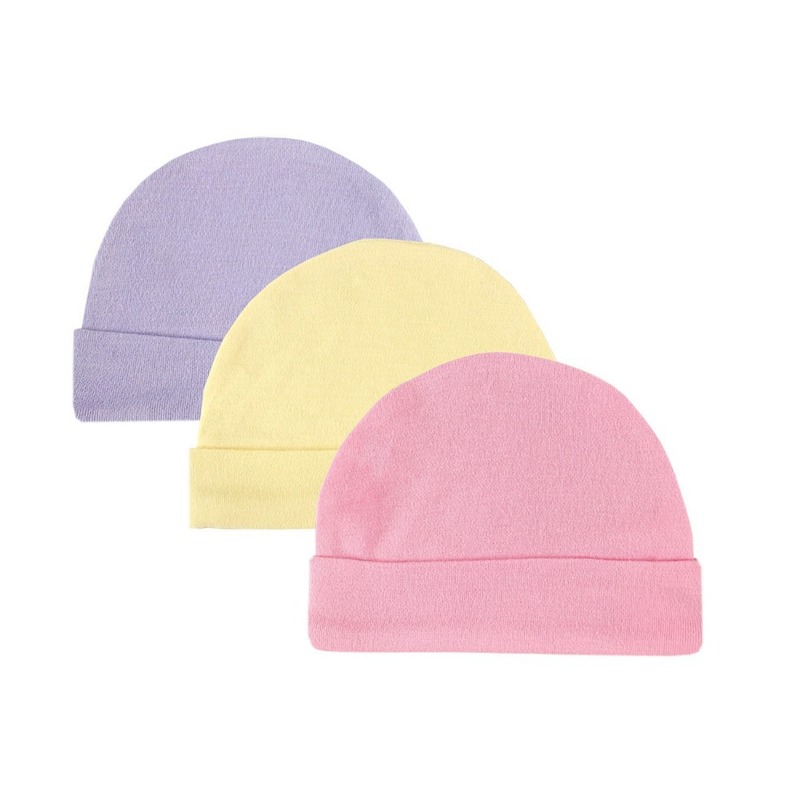 Luvable Friends 3-Pack Infant Caps are ideal for everyday use. 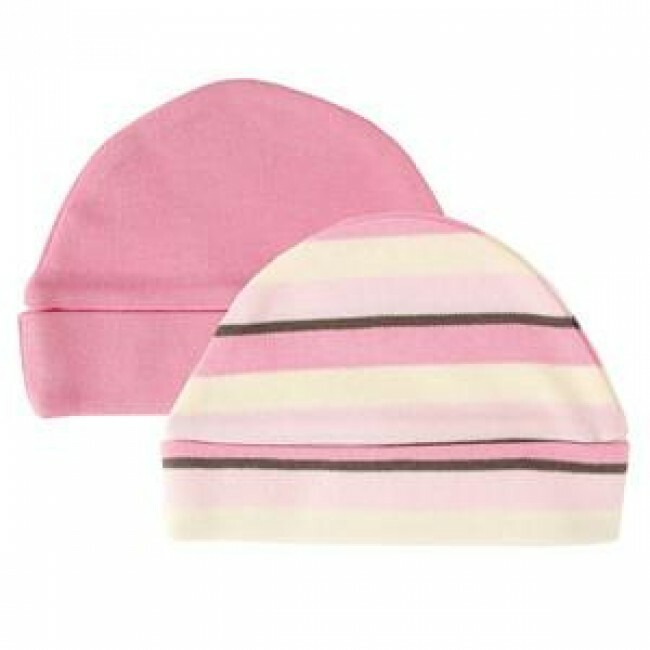 Made of 100% cotton these infant hats come with 1 stripe or dot, 1 solid color, and 1 all over print. 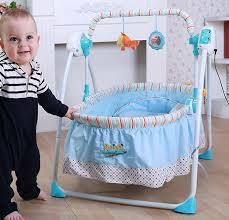 Sizing is ideal for using at 0-3 months. 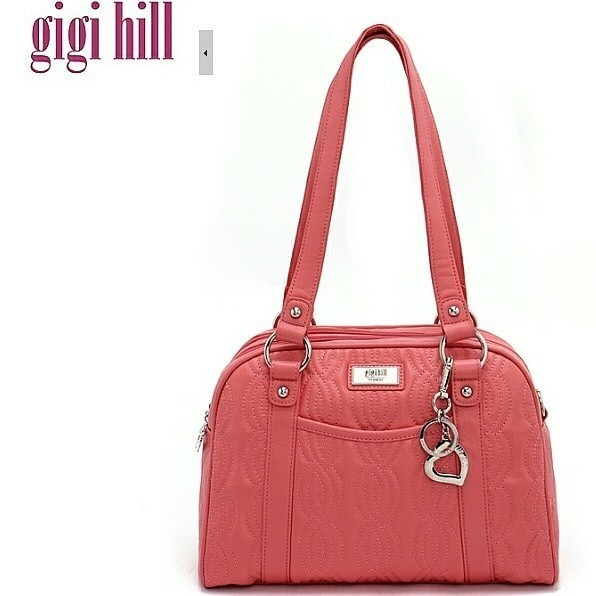 Like this print? 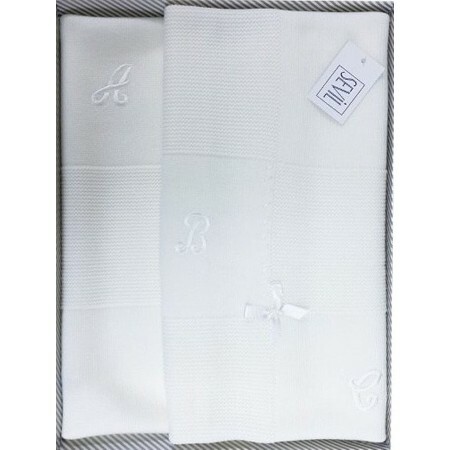 Made of highest quality 100% combed cotton, making it soft to touch on your baby's skin. 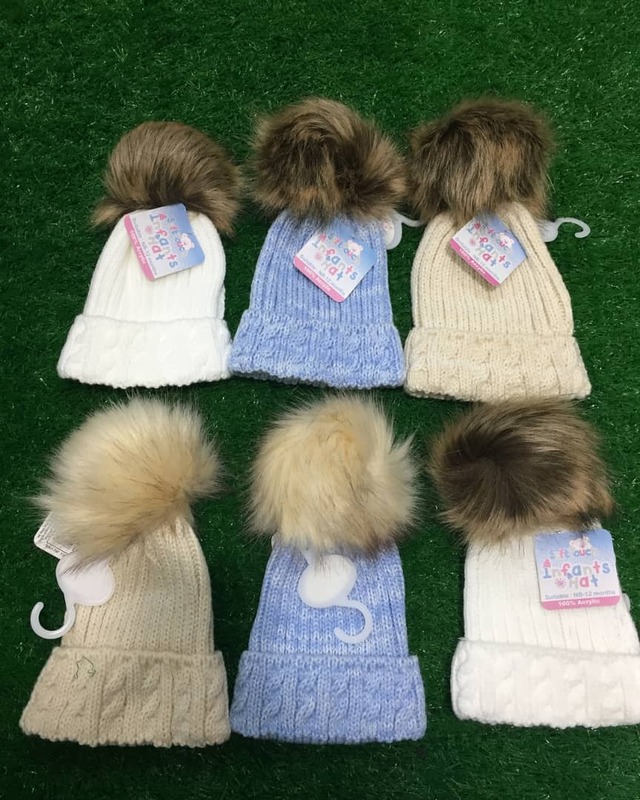 Cute and comfortable to keep baby warm. 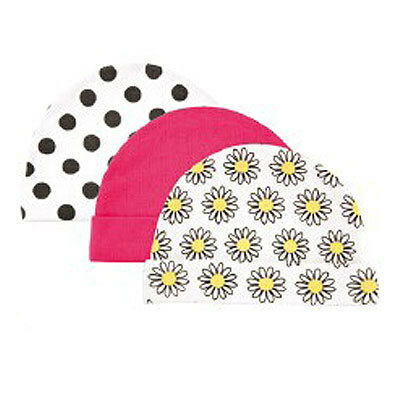 Comes with 1 printed design and 1 with machine embroidery. 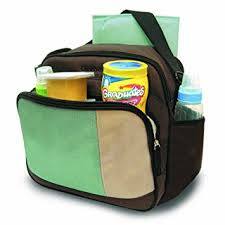 Fits up to 6 months. 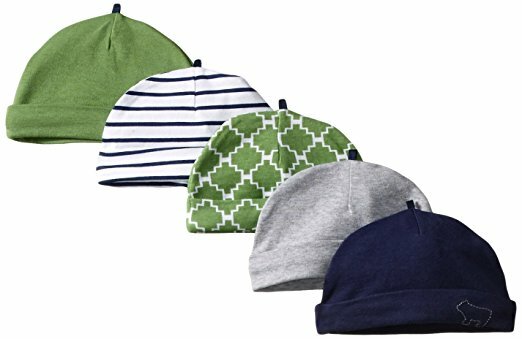 Touched by Nature Organic Caps 2pk by Hudson Baby are made from 100% organic cotton that is soft and gentle on baby's skin. 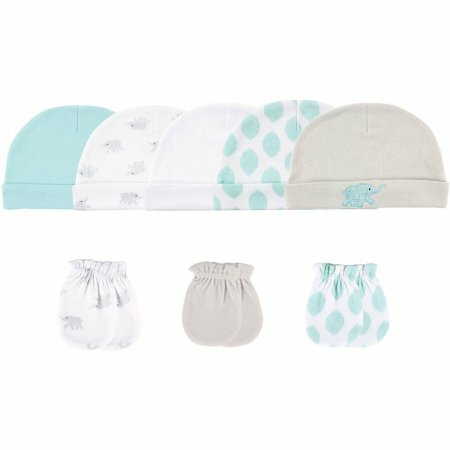 These caps come in a set of 2 that coordinates with the Touch by Nature animal collection. 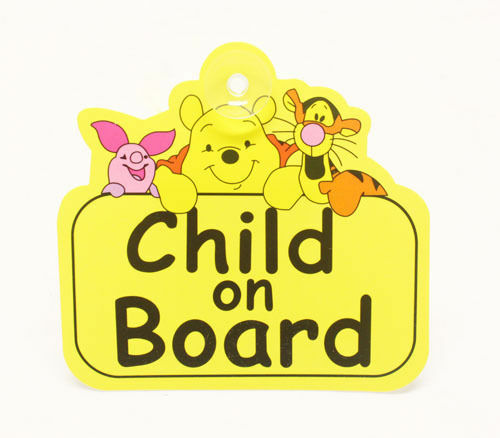 Fits infants up to 0-6 months. 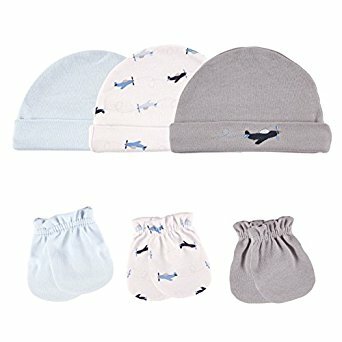 Super soft,cute and comfortable to keepbaby warm. 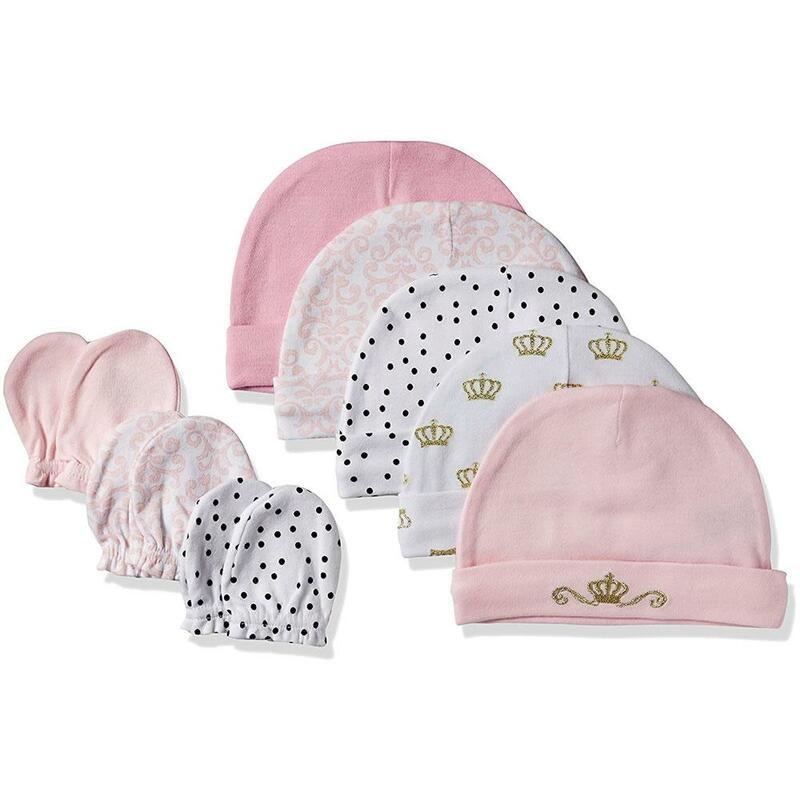 This Luvable Friends Newborn Baby Cap and Mitten Set is just what you need to keep your little one warm and happy on chilly days. 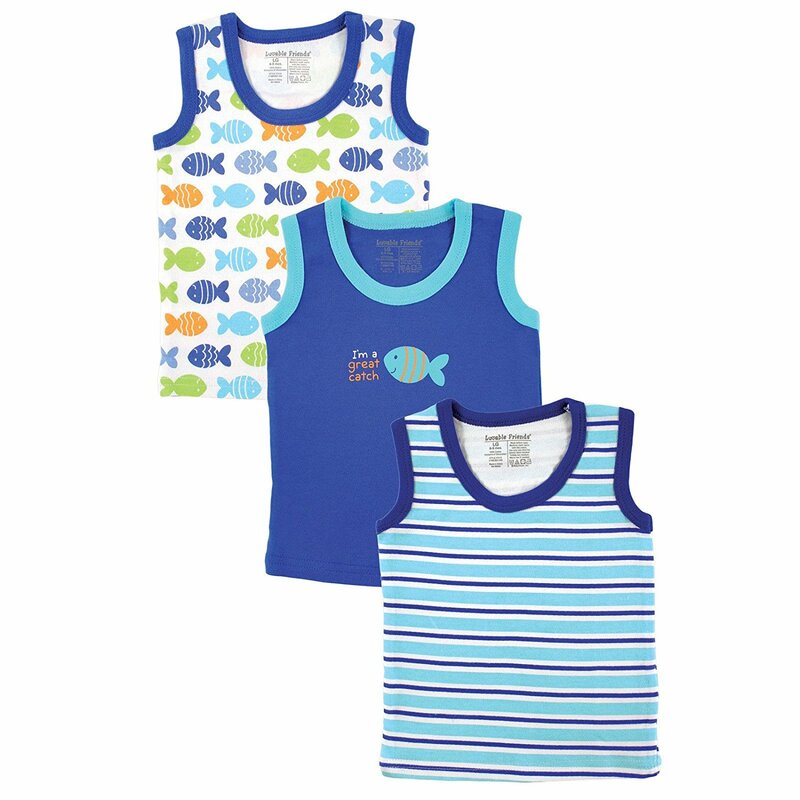 With a fun range of styles and colors, it lets you mix and match the pieces to create unique looks for your child. 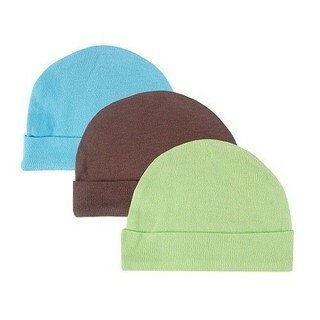 The 5-pack of baby boy's caps is made with 100 percent cotton, providing a lasting softness that you can depend on. 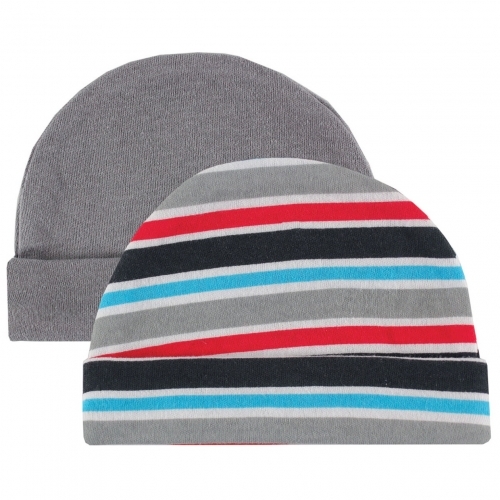 With a range of prints from foxes to chevron, this set can offer a fresh look every day. 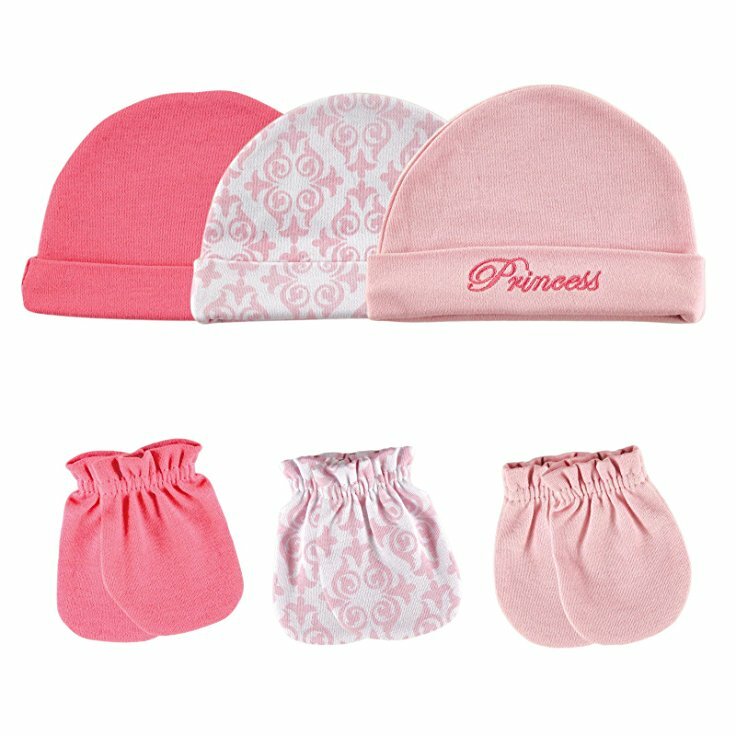 The 0-6 months newborn baby mittens come in a 3-pack so you have plenty to last. 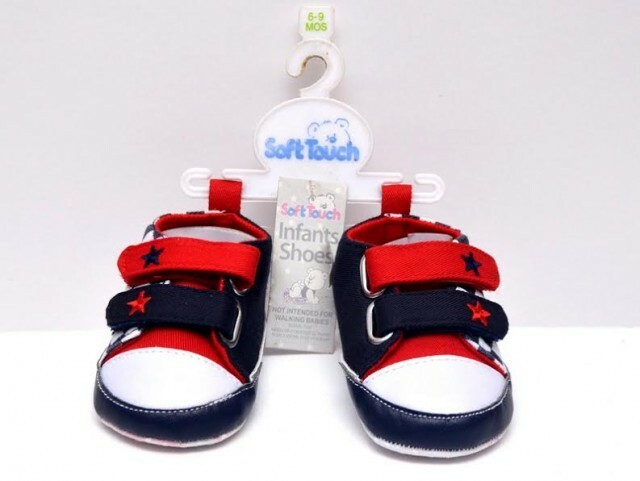 The mittens have elastic at the wrist to keep them securely in place so your newborn doesn't scratch him or herself. 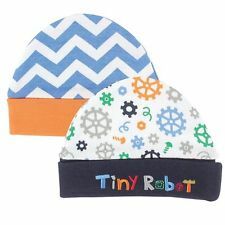 The caps are designed to go on easily so you can warm your infant up right away. 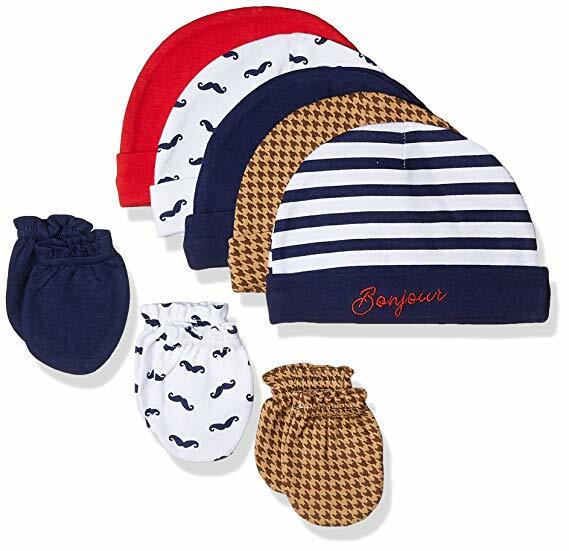 Let the Luvable Friends Newborn Baby Cap and Mitten Set keep your new addition stylish and cozy all season long.